Home Posts Tagged "Video Tutorials"
In this tutorial, Jeff will be taking a look at creating custom Pattern Brush Borders in Illustrator CC. He will also be discussing the amazingly useful Pattern Brush Libraries that come with the application. 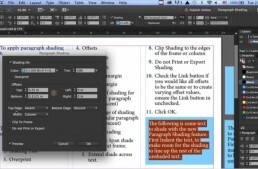 For years, InDesign users have be asking for a way to highlight a selected paragraph with a color background. In CC 2015, their wish will be answered. In this tutorial, Jeff will go through the options of this long-awaited feature. Transition smoothly from fast to slow, and slow to fast with this fun feature in Adobe Premiere. I don't know how many times I've heard "It's Impossible to Do that in Illustrator" from long-time users and novices alike. In this tutorial, I will be taking a look at using Graphic Styles to help solve some of these impossible problems in seconds, beginning with how to add a gradient fill to editable type. In this tutorial, I will be discussing the Book feature in InDesign, everything from the basics of setting up a new Book to unusual ways to use to use this powerful feature to solve problems in documents that are NOT books. Relink “Offline” and missing media files in Adobe Premiere. 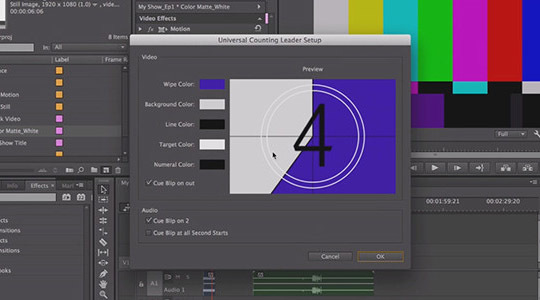 From bins to media managing your project files, stay organized in Adobe After Effects.